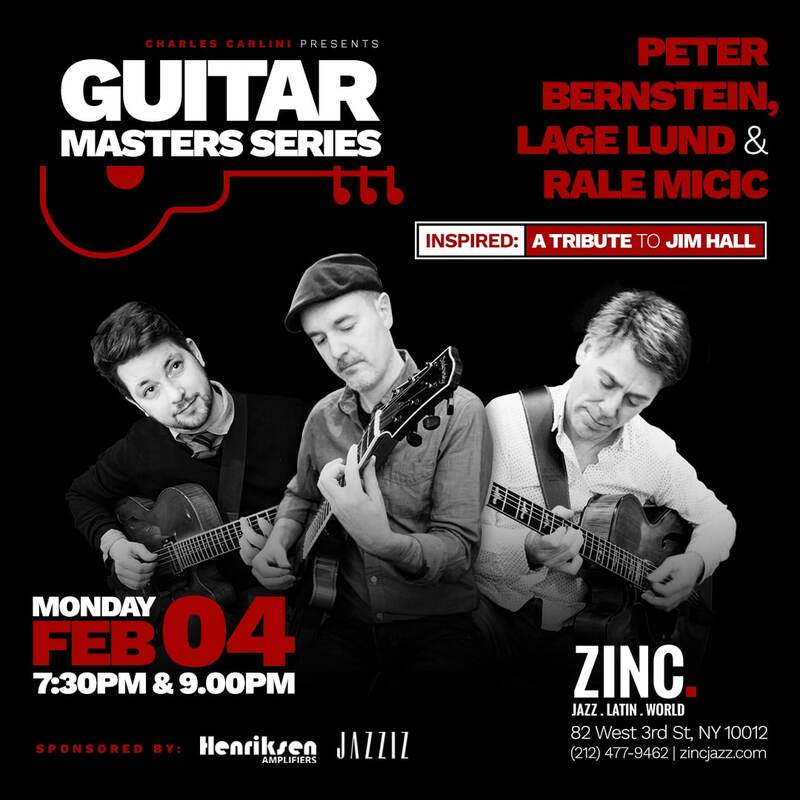 TONIGHT: Catch Acclaimed Guitarists Peter Bernstein, Lage Lund and Rale Micic as they honor Jazz Legend Jim Hall at Zinc. Book your tickets now! Peter Bernstein, Lage Lund, and Rale Micic celebrate the legacy of Jazz legend/guitarist Jim Hall in a project called Inspired, creating an evening of exciting duets and solo guitar music. Three guitarists — different styles, different generations, different backgrounds, but all with one thing in common, respecting and continuing Jim Hall’s vision.